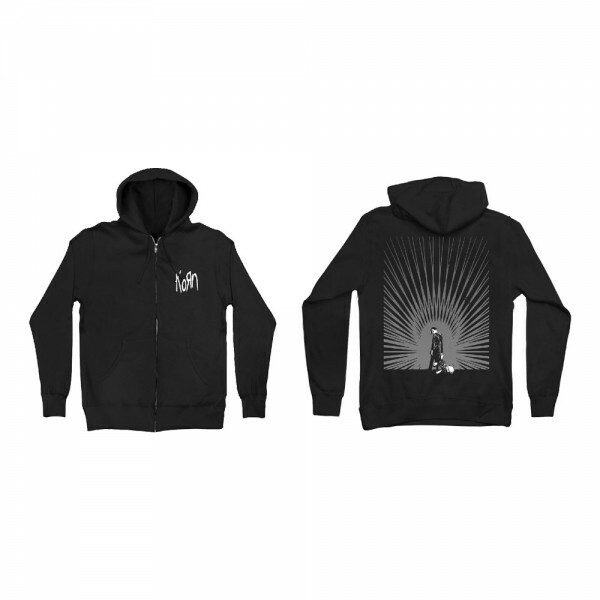 The 'Serenity' hoodie has the Korn logo printed in white on the front. The back features the boy from the Serenity of Suffering album cover, walking off with a glow radiating out from him. The design is printed in grey and white on a black, zip up hoodie.